High shine, non-yellowing finish with diamond powder. Builds thick, strong, healthy nails. 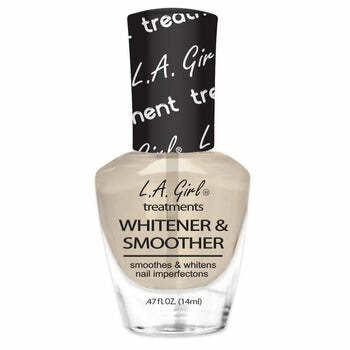 Smoothes & whitens nail imperfections. Hydrates brittle nails & regulates nail growth. Helps to protect and transform nail color under UV lighting. Helps strengthen nails and prevents nail chipping. Helps to fortify and thicken nails. Hardens weak and thin nails. With garlic extract for strengthening & shine. Protects nails from staining with keratin fibers. Shines like a gel & extends wear. Prep nails & extends wear.